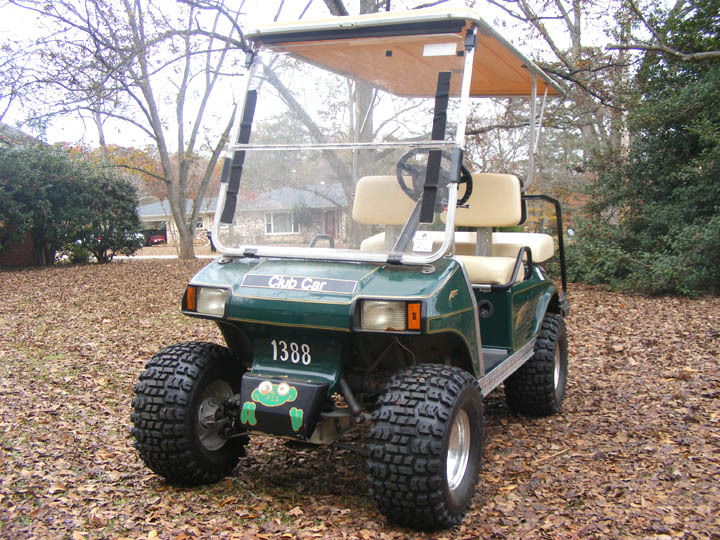 I have been able to determine that my cart is a 1996 CC DS Electric (48v)... it is lifted with 22 inch tires - it was used a Golf Course (still has numbers on the front) but don't know anything else - and am not sure where to start. I've gone over the cart looking for clues as to what I have plus I've been pouring over this forum trying to figure out what is what. - soleniods (by the way, is it possible that I have 2 soleniods as at first glance it seems that way). I want to make sure I am maintaining the cart correctly, and I'm itching to do some speed/torgue upgrades. But I need to know exactly what I have before I can start. Should I try to locate an Owners Manual or something? Where to start? Any help in how I can learn what I have here would be much appreciated! The poster said he had a 96 Powerdrive Plus 48V - how can I determine if my cart is a Powerdrive Plus? Thanks again and especially for patience as I ramp up! I am no expert but one of them will probably answer you soon. They probably will need to know what type of f/r switch you have. The one between the seats or on the dash. How many batteries do you have? 6 8volt, or 6 6 volt? I only see one wiring diagram in the stickies for your year DS. So it is most likely a 48volt cart. I don't know what to look for to recognize if it is a regen cart though. The real question is if your diagram doesn't match the one in the stickies is if your cart was already upgraded with a controller and what not. I would get your self a service manual as it WILL save you time and money in long run. If you have a lever under your right leg you have a series cart, and if you have a rocker type switch under your leg its a Regen-1 cart which would accounts for 2 solenoids. Stock your cart came with a Curtis 250-275 amp controller and about a 3 Hp motor. In 1995-1997 CC used several different pot units ( throttle pedal speed controls ) and some are no longer availible, so you may depending on pedal castings ( 2 types used ) may when needed convert to modern MCOR control, or a Curtis PB-6 unit? I would start with minimum of 4 guage multi strand welding cable cables through out ( battery-motor-F&r-etc ) to help with lost power because of lift and larger diameter tires. Then when funds are available you might consider a higher amp controller 300-400-500 and possible motor HP update? I personally like Alltrax controllers and there are several different very good motor suppliers available. When picking motors-controllers combinations always give all information about lift, tire size, cable size, extra weight like rear seat and HD springs and future plans for cart to get best combination of performance available. AND BY ALL MEANS USE OUR FORUM SPONSORS. Also, my cart has a ROCKER type f/r switch, and following OLC MEC's reply it must be a Regen 1 as it does have the 2 soleniods like the diagram. OLD MEC - I will definately buy a service manual right away. Your advice on where to get one? Next I'll move to the cables you suggested - something my son and I can do together this winter. I'll log your other advice for when the funds are available. Is there any need for me to determine if the cart is a "Powerdrive Plus" (see my other post above)? 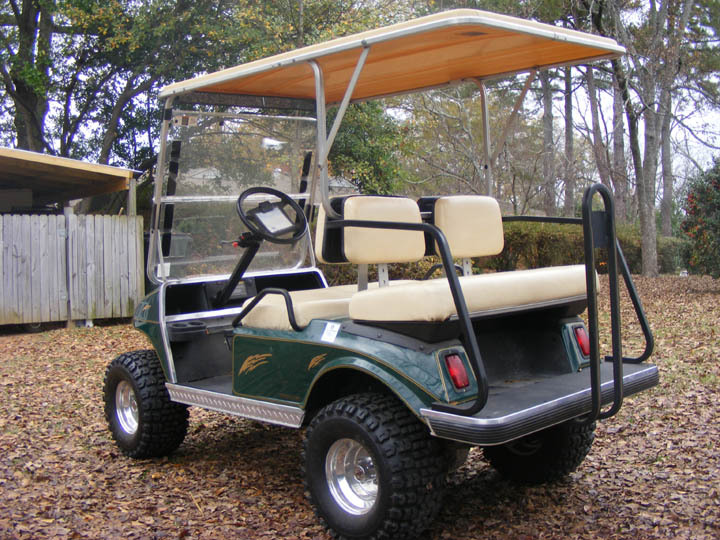 Do you think I need to go with the 2 gauge cables (vs 4 gauge) since my cart is lifted, 22 in tires, rear seat etc. - as I do plan on upgrading the controller and motor this spring (assuming by your post that HP = horsepower) ? I hope this is not a dumb question - still trying to get my bearings on all this. THERE ARE NO DUMB QUESTIONS ONLY DUMB IF UNASKED. Thats how we all learn and I am told when you stop you might as well be dead???? Manuals-I would check with forum sponsors first and then if not avaliable check forums for sale site or some thing like Ebay. On your year it may require a 1995 manual with 1996 update manual as well? I see more this way than just 1996 regular single manuals. Charger-All same for the years from about 1995 to 2005 model CC part number 101802201. My 1996 is CC-Lester Model #17930. Battery cables-I use a rule of thumb that seems to work out for me? Controllers from 275to 300 amps I use 4 guage. Controllers from 400 to 500 I use 2 guage. Controllers from 500 and up I use 1 guage. Be sure to give the needed info shown in previous posts when checking on which controller and motor combo to use and then you can pick correct guage wiring to use. Dont get horse before cart so to speak? 2g cable for a 400 amp controller? Why? Lowered with a big block - The new build "Madness" has started..... On Road Golf Carts!